It’s official. 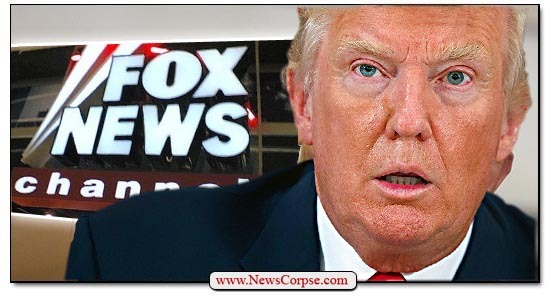 The most aggressively biased Fox News propagandists are acting as Donald Trump’s primary advisors on the question of a “national emergency” to fund his precious vanity wall, as well as a host of other issues. In a Rose Garden address, the President cited the entire primetime roster on Fox News when asked about which conservative voices shape his views. Kelly O’Donnell, NBC News: Mr. President, could you tell us to what degree some of the outside conservative voices helped to shape your views on this national emergency? Trump: They don’t decide policy. In fact, if I went opposite…I mean they have somebody, Ann Coulter, I don’t know her. I hardly know her. I haven’t spoken to her in way over a year. But the press loves saying Ann Coulter. Probably if I did speak to her she’d be very nice. I just don’t have the time to speak to her. I would speak to her. I have nothing against her. In fact I like her for one reason. 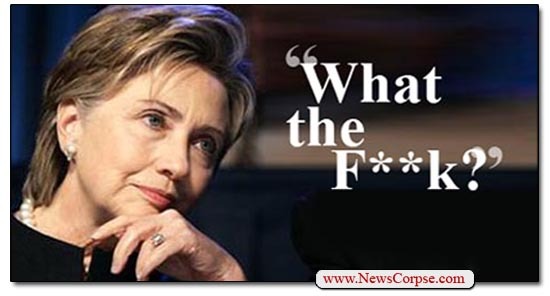 When they asked her like right at the beginning, ‘Who’s gonna wing the election? Donald Trump.’ And the two people that asked her that question smiled. Trump: Laura’s been great, Laura Ingraham. Tucker Carlson’s been great. I actually have a couple of people on CNN that have been very good. 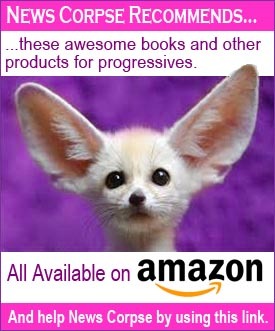 I have some on MSNBC the other day. They did a great report on me. I say ‘Where the hell did that come from?’ I think it was the only one in over a year. And there you have it. Trump filled in the rest of the Fox News primetimers, all of whom he praised as being “great” because they are such constantly slobbering sycophants. 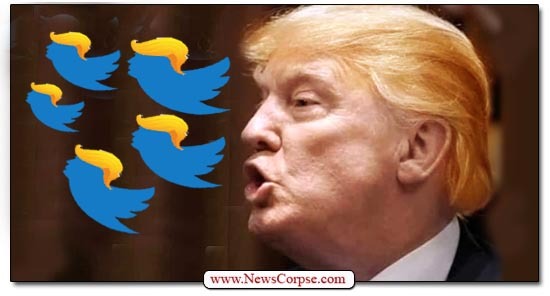 As for the MSNBC segment, he actually tweeted about that last week, but included a video clip that was deceitfully edited to cut out the criticism and to make it appear as if it was wholly positive. Trump’s speech was predictably deranged as he stumbled from one topic to another without any connecting logic. It was a smorgasbord of his unhinged rants that are familiar to anyone who has seen him at his cult rallies. He even did a childish, sing-song style bit about how he expects the legal challenges to his emergency declaration to go down. This performance was, in fact, sufficient to justify the reported considerations by former FBI official, Andrew McCabe, to remove Trump from office via the 25th Amendment for being mentally unfit to serve. But then, we already knew that. The presidency of Donald Trump has distinguished itself for its hostility to the media and the Constitution’s protection of a free press. 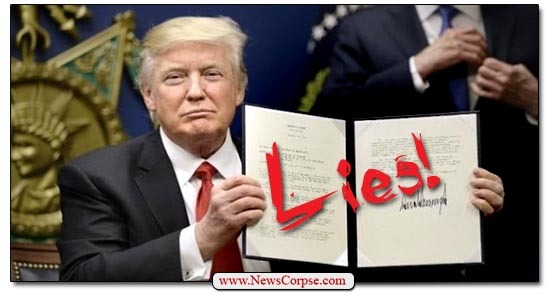 His tedious whining about “fake news” and his Stalinist references to the media as “the enemy of the people” are evidence of his desire to poison the public’s minds in order to suppress criticism of him and his administration. That said, no president has ever been more closely intertwined with a media enterprise than Trump is with Fox News. Before his election he was a regularly scheduled contributor to Fox and Friends with a segment called “Mondays with Trump.” He limits his interviews to Fox News on a nearly exclusive basis. His administration is infested with former Fox News staffers. They include: Deputy Chief of Staff, Bill Shine, who was the president of the network before being fired for mishandling incidents of sexual harassment; ambassador to the United Nations nominee, Heather Nauert, a former Fox host; National Security Advisor, John Bolton, an ex-Fox contributor. In addition, Trump employs current Fox News anchors as his de facto cabinet, getting advice on everything from the economy to military engagements, to taxes and more. 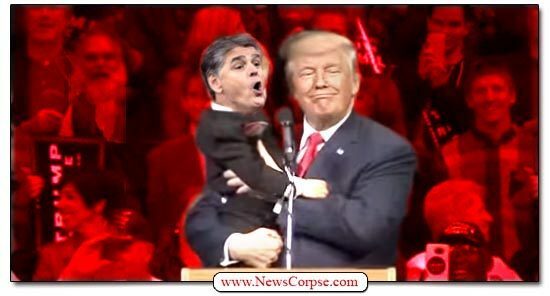 Sean Hannity is reported to talk with the President almost every night before bedtime. Lou Dobbs is often on conference call during Oval Office meetings. Jeanine Pirro is a favorite consultant on legal matters. And Trump is frequently live-tweeting whatever he happens to be watching on Fox, day and night. Sean Hannity: So, with the president speaking, I’m guessing he’s going to declare a national emergency. […] victims of crime happening in this country, that should be enough of a national emergency. Lou Dobbs: This is the president of the United States. He says a wall should be built; that it’s a national emergency. At that point, the nation should rally behind him. […] It is a national emergency, it is a crisis, and there could be no rational disputation of that. Lou Dobbs (again): I really believe that the way forward here is for him to declare a national emergency, and simply sweep aside the recalcitrant left in this country. Stuart Varney: I think this total refusal to negotiate has pushed the president to the point where he has to declare an emergency on the border. Rush Limbaugh: And so they empowered the executive branch with the National Emergencies Act. He can confiscate private businesses, if he wants. All he has to do is declare it a national emergency. Gregg Jarrett: The National Emergency Act authorizes the president to declare an emergency, and nobody can second-guess him. He has unfettered authority. […] he can use the military, redirect them for construction of an unauthorized project, whatever it is, the president wants it to be. That can be the barrier wall, and nobody can stop him from doing it. Bob Bianchi (Fox guest): To me, politically, it makes perfect sense. [for Trump to] invoke my powers as the president under the National Emergency Act and under one of these sub-acts that allows me to move funds around to build this border wall. Tom Fitton (on Tucker Carlson Tonight): It is a national emergency when we have a thousand plus miles of unsecured border in our southern area without any ability to figure out who’s coming across. We know the terrorists are targeting [the] southern border. Considering how gullible Trump is, and how easily influenced he is by his Fox News brain(?) trust, it’s a foregone conclusion that he’ll declare a national emergency. However, contrary to the ravings of Trump and Fox, he does not have unfettered authority to do so. It will undoubtedly be challenged in court. And since the facts don’t support any claim to a crisis, he’ll almost certainly lose. In the meantime, millions of people are hurt and the nation is stifled by Trump’s ignorance and ego. Hopefully that can all be avoided by Congress waking up and doing the right thing. But given the abdication of its civic duty, Mitch McConnell’s Senate has to be considered a long shot. On Tuesday Rush Limbaugh took to the airwaves to warn his listeners of a horrific and impending danger. He valiantly sought to protect them from a threat that would cause grave harm were they not prepared. This warning came just a couple of weeks after Hurricane Harvey devastated much of Texas. And now Hurricane Irma was rapidly bearing down on Florida. Problematic? That’s a cute way of saying that a life-threatening natural disaster is about to destroy much of the region. 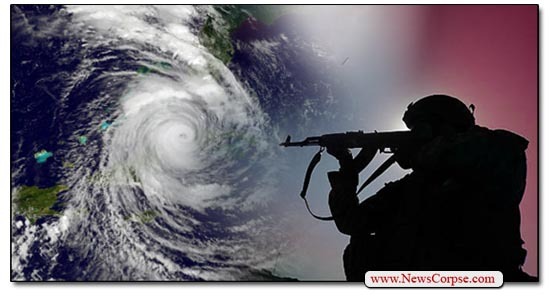 Limbaugh made additional comments that continued to belittle the Hurricane’s potential harm. He said that he couldn’t legally stay and do the show, presumably because of the mandatory evacuation. The implication was that absent that decree he would remain and ride it out. Limbaugh’s persistent downplaying of a historically unprecedented storm is criminally irresponsible and lives may hang in the balance. His claim that the media was hyping the story for ratings and disaster supply consumption was bad enough. But now he’s giving people a reason to stay in harm’s way by pretending that he’s being forced to evacuate without any real need. 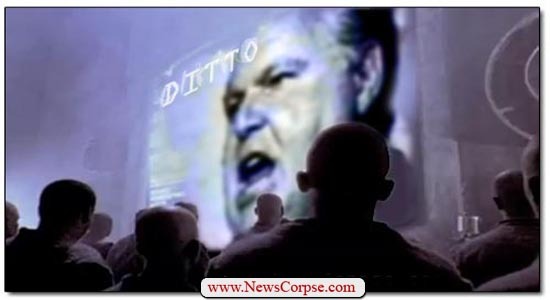 Odds are Limbaugh is actually scared out of his drug-addled mind. A conscientious broadcaster would be imploring people to get out and seek safety. But Limbaugh has issued no such advice. And his listeners are such blind followers (self-proclaimed “Ditto Heads”) that they might very well ignore the official warnings. After all, Rush wouldn’t steer them wrong, would he? The presidency of Donald Trump is running an obstacle course of speed bumps and potholes. He has failed to achieve anything of note during his first 100 days in office. And that’s according to his own published benchmarks. There is no repeal of ObamaCare, no defeat if ISIS, no tax reform, and no Mexican border wall. The only success he has had is breaking the record for the lowest popularity of any first-quarter president in history. Along with Trump’s sagging fortunes, much of the right-wing establishment is similarly floundering. The Republican Party is worried about maintaining their majorities in Congress. And the GOP’s PR division, Fox News, recently lost its CEO (Roger Ailes) and its biggest star (Bill O’Reilly). Both were terminated after scandals involving sexual harassment. “The parent company of iHeartCommunications [formerly Clear Channel], which syndicates programs by conservative talk-show hosts Rush Limbaugh and Sean Hannity, appears to be headed toward bankruptcy. Indeed. Limbaugh’s repulsive and misogynistic insults cost him dearly. 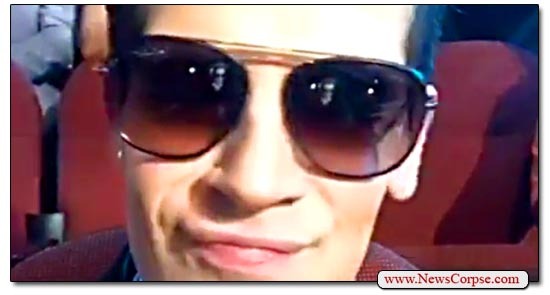 A leaked memo from his distributor, Premiere Networks, revealed that he lost more than 140 advertisers as a result of his rancid ranting. And the exodus didn’t end with Limbaugh. The same advertisers also requested that their ads be removed from other right-wing programs including Sean Hannity, Glenn Beck and Michael Savage. Exacerbating these problems, Limbaugh has also lost favor with some of the top affiliates in the country. His show has been dropped from WABC in New York, WRKO in Boston and KFI in Los Angeles. In desperation, he switched to some weaker stations in those and other markets just to have a presence on air. It remains to be seen whether iHeartCommunications will manage to stay afloat. But even if it does, they will have to make severe cuts in order to service their crushing debt. That means that Limbaugh, Hannity, et al, will either have to agree to renegotiate their contracts downward or say goodbye to their audience. They may still survive online, but they should ask Glenn Beck whether that’s a viable option. 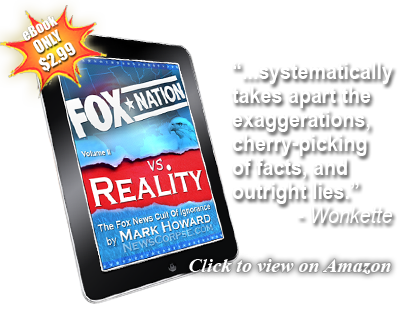 Since losing his Fox News megaphone he has been bleeding cash and his public awareness has shrunk to near irrelevance. So that’s good news all around. And maybe we should send Donald Trump a thank you note. The Republican Party has just affirmed that they have given up on electing Donald Trump. There is no better sign of this than what they are now concentrating on as their next political priority. With election day still a couple of weeks away, Republicans are setting their sights on impeaching President Hillary Clinton. “In the last few weeks alone, dozens of House Republicans have demanded that a special prosecutor investigate the Clinton Foundation for possible conflicts of interest. Texas GOP Sen. Ted Cruz has called for a ‘serious criminal investigation’ into a Democratic operative featured in a sting video by conservative activist James O’Keefe. And Speaker Paul Ryan has promised ‘aggressive oversight work in the House’ of an alleged ‘quid pro quo’ deal between the FBI and the State Department over reclassifying an email on Clinton’s private server. Clearly this Republican Praetorian Guard is establishing the battle lines for a prolonged war on American progress. They are reinforcing their reputation as obstructionists who couldn’t care less about doing their jobs for the American people. Their intention is to tie up the Congress and the White House with sham inquisitions. But their ultimate goal is even more absurd. Indeed. It’s so ridiculous that News Corpse wrote a satirical article in 2013 predicting that Republicans would attempt to pre-impeach Hillary. But with today’s Republican Party, satire cannot compete with their twisted reality. And while it is obviously ridiculous, it may not be all that laughable. What Republicans are doing is ensuring that the nation will remain mired in gridlock for the indefinite future. With innumerable urgent matters requiring attention, the GOP would rather play political games and conduct smear campaigns. They would rather act out their petty political vengeance than lift up the economy. Or, for that matter, improve health care, mitigate climate change, enhance education, or even defeat ISIS. And make no mistake, the investigations that Republicans are threatening would severely hamper every other critical function of governing. For that reason alone it is more important than ever to rid Washington of the Republican obstructionists. If Democrats can secure majorities in the Senate and the House, the chairmanship of every committee would be held by a Democrat. The Republicans would be unable to carry out the vendetta against America that they are promising. So be sure to vote (early, if possible) and get every Democrat you know to do so as well. It really does matter.